Clara has had a busy time since graduating from her Acting Diploma in 2013. Most notably she has Assistant Directed 'Timon of Athens' at AC Arts and secured funding for a series of workshops (FloorPlay) which will connect emerging and established artists. She has also been busy performing in a few short film projects. During her time studying she was cast in diverse roles including Witch One in Macbeth, (directed by Geordie Brookman), and Helena in 'A Midsummer Night’s Dream', (directed by Rhys McConnochie). Other theatre credits include 'The Threepenny Opera' (Rev. Kimball, Ensemble) directed by Cameron Goodall, 'Slavs! Thinking about the longstanding problems of virtue and happiness' (Vodya, Vassily) directed by Charles Sanders and 'Our Town' (Rebecca, Stage Manager) directed by Chris Drummond. 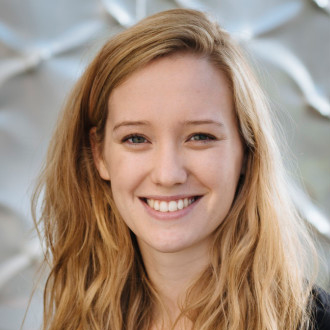 Clara has a strong interest and passion in Shakespeare and travelled to Sydney in 2010 with the Bell Shakespeare Regional Performance Scholarship. Clara is the founder of ACTive YOUth Theatre where she has taught and organized classes and productions for 7 to 17 years olds.